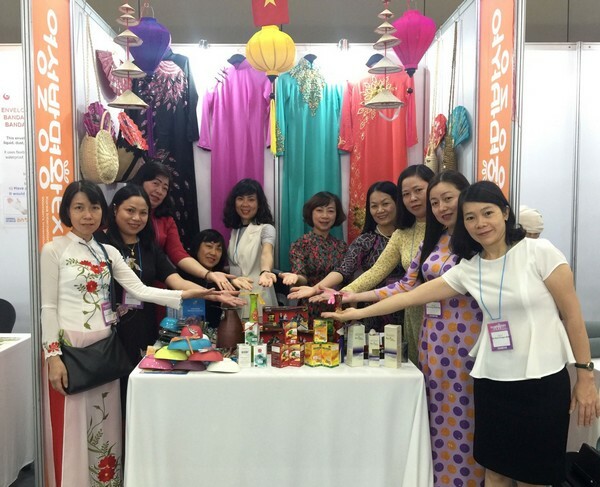 From 25 June – July 4 2018, a delegation of the Vietnam Women’s Union (VWU) headed by Vice President Bùi Thị Hòa paid a visit to Korea to attend the 6th Korea – Viet Nam Women’sForum, Women Inventors Exhibition and other activities. The Forum isan event organized inrotation annually by VWU and KWDIto share experiences ingender mainstreaming in policies and laws in both countries. This year forum marks 5 years of cooperation between the two organizations. Vice President Bùi Thị Hòa has presented the Certificate of Merit of the VWU’s Presidium to KWDI to recognize its contribution and efforts for the development of Vietnamese women. Besides, the delegation also had discussed with KWDI on gender indicators as well astentative theme of the 7th Forum and future cooperation activities. The 2018Korea International Women's Invention Exposition and Forum (KIWIE) weresuccessfully held with the participation of 28 countries and more than 370 products. The exposition is an opportunity for showcasing, introducinginnovation works, ideas and products of women from different countries, thereby promoting their spirit of invention in scientific research and works. At VWU booth at this exposition, there weredisplayed many women’s traditional, environmentally friendly products. Especially, amonginvention products of Viet Nam for competition, two products of Assoc. Prof. Dr. Le Mai Huong - Director of Natural Research, JSChavewon prizes, in which Bioglucumin products (300mg / 500mg) have won a Gold Prizeof the KIWIE 2018Organizing Committee and aSpecial Prize of the State Office of Industrial Property of the Republic of Macedonia; and Bioglucumin G - SilverPrize; Bio-Essence-Birds Nest + Peptides (skin care products) byMs. Doan Thi Phuong Thao - Director of 4H SmartShopping, JSChave been awarded aKIWIE 2018 Silver Prize. 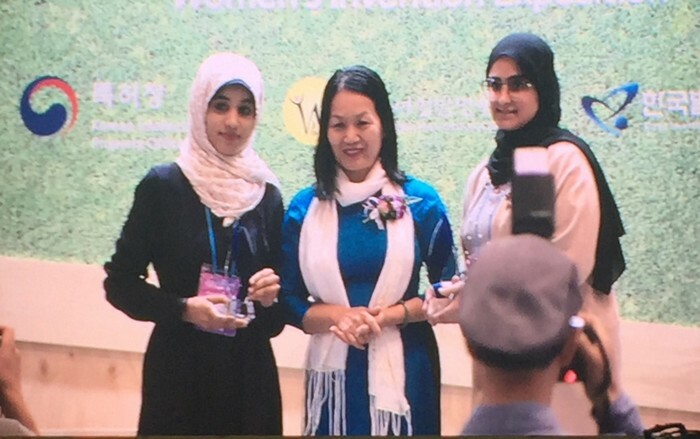 At the awarding ceremony, Vice President Bui Thi Hoa awarded VWU Special Prizes to two winners from Saudi Arabia and Bahrain. The KIWIE 2018 forum focuses on such topics asproblems and challenges for women inventors in using intellectual property (IP) systems; Promoting innovation-based economic growth - ensuring a supportive environment for women inventors and the growth of their IP based businesses. The delegation participated in invention training (academy) with the participation of more than 100 delegates from different countries. During the 2 training days, the participants were provided with knowledge on IP (overview of IP issues in business, IP product commercialization, IP strategy development ...); Korea's experience in IP support for small and medium enterprises, support for women inventors; Innovation models and successful commercialization of innovative products from several countries (Sri Lanka, Indonesia, Morocco, Uzbekistan...). 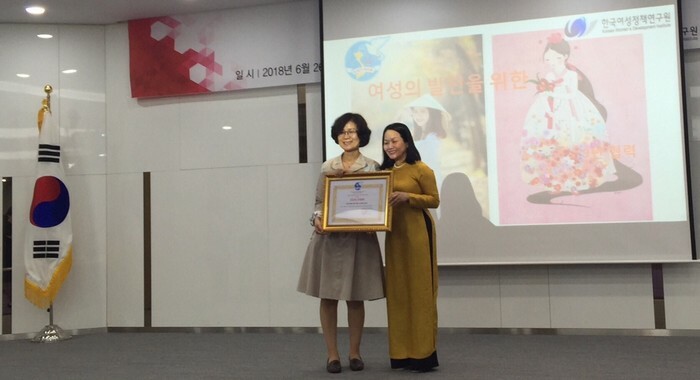 Besides attending the 6th Korea-Vietnam Women’s Forum and the series of events under KIWIE 2018, the delegation hada meeting with Vice President of the Korea International Cooperation Agency (KOICA) to discuss on the cooperation projects between the two sides, including the project to support Vietnamese returnee brides married to Koreans; visited Danuri Multicultural Family Information and Support Center.InYangpyeong City (Geonggi Province), the delegation had a meeting with the Deputy Mayor of the city, visited the model of organic farming (strawberry and rice growing, cow raising…); visiting ecovillage model... Besides, the delegation also visited the Vietnam Cultural Center in Korea.